Post No. 1400: There's a snowstorm coming? Anybody hoping for a perceptive distillation of all the wisdom I've gained in putting 1,400 posts up here on Second Effort hasn't been here very often. Today I actually had hoped to be less shallow than usual; however, circumstances dictate otherwise and, like Eliza Doolittle in My Fair Lady, I am going to try and stick to the weather or my health as topics of conversation. Here in Chicago, we are supposedly in the crosshairs of a Major Winter Storm. I've not seen the TV or radio announcers' scripts, mind you, but I can hear them capitalizing "Major Winter Storm" every time they say it. We're supposed to get anywhere from a dusting of snow to three inches today. The real excitement is supposed to begin tomorrow afternoon and continue into Wednesday. I have observed that weather forecasters in Chicago are always making breathless predictions of impending storms. On the TV news the anchors join right in: "We're on Stormwatch tonight in Chicago...." Then they cut to a live remote manned by the least senior reporter, usually on an expressway overpass or at O'Hare. The reporter gravely intones the precautions being taken by IDOT and Chicago's Streets and San and the Department of Aviation. An interview of a representative of at least one of these organizations is shown during this segment which concludes with the junior reporter scanning the sky anxiously for some hint of the promised storm. This latest storm may be different: The announcers are talking accumulations of 12 to 20 inches by the time we're done. The Tribune says, "The National Weather Service has issued an unusually dire blizzard watch, calling a storm expected to arrive Tuesday afternoon over much of northern Illinois and Northwest Indiana 'dangerous, multifaceted and potentially life-threatening.'" If they're even half right, this will be a major inconvenience. But half-right won't shut anything down. If we really did get 18 or 20 inches, though... that might be a different story. My Long Suffering Spouse, like the little girl in the accompanying Sally Forth cartoon, is really, really hoping for a Snow Day. (Yes, kids, sometimes teachers hope for Snow Days just as much as you do!) As you may have gathered, I am skeptical. Nevertheless, instead of distilling wisdom today, I am resolved to move as much paper off my desk as possible... just in case I find it more prudent to work from home for the next couple of days. Sally Forth cartoon written by Francesco Marciuliano and drawn by Craig Macintosh. I obtained this image from the Seattle Post-Intelligencer, though I read it (in print!) this morning in the Chicago Sun-Times. There is no room for disagreement now, though. For purposes of Section 3.1-10-5(a) of the Illinois Municipal Code, "resided in" means where the prospective candidate is domiciled. I don't know that Justices Freeman and Burke are correct when they suggest that yesterday's opinion may have unforeseen consequences for residency issues in other cases (such as Chicago's residency requirement -- which requires police officers and firefighters to live within the City limits or forfeit their employment). I suspect Maksym (that's the name by which the case will be known in the law books) will not be so broadly construed by future courts. 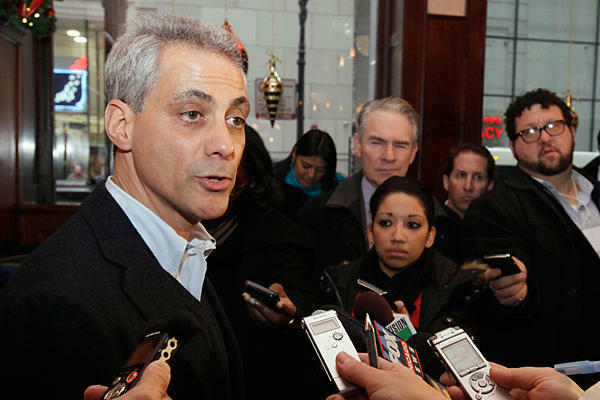 Rahm Emanuel will win the mayoral primary with more than 50% of the vote and avoid a runoff. This ballot challenge has provided him with sympathetic exposure that no amount of campaign commercials could equal. I would not, however, suggest that you put money down on this last prediction. If you bet against every prediction I've ever made in this blog you'd probably have a significant amount of money stashed away. Before yesterday I would have thought that Emanuel really was in trouble because Illinois election cases have usually gone against the challenged candidates. I still think you'd be wise not to believe that the Illinois judiciary is suddenly inclined to decide future election cases in favor of broad ballot access. Anyway, coming next week... Post No. 1400. Sitemeter says over 100 people a day have been coming here lately. Most leave quickly, and presumably disappointed. I am grateful for those who have commented regularly over the years -- but this is a message directed chiefly at any lurkers, if lurkers there be: Say hello. And if there's anything you'd like to see more of -- or less of -- on Second Effort, feel free to say so. And isn't it amazing that the Illinois Supreme Court even has a Twitter feed? When I was a kid, only the richest and most powerful people had car phones. Now car phones are "mobile" phones and everyone has at least one. Computers were monstrosities in the early 1960's. They required separate, climate-controlled rooms. In fiction, computers were not just monstrosities, they were likely to become monsters. James T. Kirk did battle with a megalomanical computer every other week. Then, all of a sudden, Bill Gates and Steve Jobs smote the ground, and along came desktops. Every high school kid had access to more computing power than NASA did when it landed men on the Moon. Then came laptops. Now, it seems, desktops and even laptops are increasingly the province of old fogies like me -- my kids do most of the things that I do on my computer on their phones. On the other hand, IBM has invented Watson, a computer that will do battle with Jeopardy champions Ken Jennings and Brad Rutter next month. But James T. Kirk has become a lonely old man spouting $#*! on CBS. Leonard Nimoy has officially retired. Will Ken Jennings be able to save humanity without Mr. Spock? Maybe I don't want to get back 'with it' -- even if I could. In my fertile imagination, I write this blog for a national and international audience -- and six or seven regular readers in the States and two or three regular readers overseas does constitute a certain amount of success in this ambition. A very small amount. But, today, I depart from my usual practice and write about stuff that's strictly local. Although some of this stuff may be in the news where you live, too. 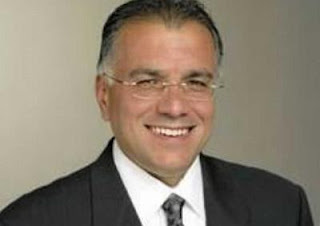 You're looking at a picture of mayoral candidate Gery Chico. Chico was a one-time Chief of Staff for Richard M. Daley and later was president of the Chicago Board of Education. 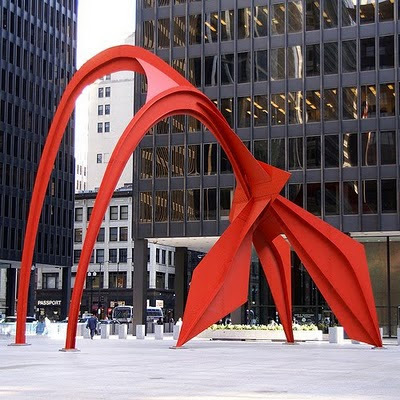 He was a partner at the venerable Chicago firm of Altheimer & Gray... which spiraled into the ground a few years back... and now has his own firm, Chico & Nunes, P.C. He's been endorsed by the local police and fire unions -- and now he expresses a willingness to end Chicago's residency rule. Chicago cops and firemen (and all other City employees) are required to live in the City of Chicago as a condition of continued employment. I am not a City employee. Many of my neighbors are. Some -- especially the cops, I've noticed -- express feelings of being 'trapped' in the City and look anxiously toward retirement when they can move away. But I love the residency rule. I believe it helps support the price of housing in the middle class enclave where I live. Take that rule away... and the only real investment I have left may really tumble in value. You think housing prices have gone down because of the Great Recession? I'm afraid that will be a mere course correction compared to the free fall that may follow if the residency rule is eliminated in Chicago. Here is another reason why responsible anonymous blogging has a place: This is not a popular opinion. I might be scorned by my City-employed neighbors were these views to be known. Yet it is important that the consequences of the elimination of the residency rule be considered. If housing prices really do fall, moreover, the first cop to move out will be fine -- but his fellow cop neighbors will take a beating if they can't sell as fast. I'd be far more receptive to Local 2 or the FOP negotiating a housing allowance for younger firemen or cops in certain particularly disadvantaged areas of the City. But that's another story. Is Chico pandering for the votes of cops and firemen? The indispensable Second City Cop blog recognizes Chico's statements as such, but adds, "It's what politicians do." Chico was running a distant third in the polls before Monday when the Illinois Appellate Court knocked Rahm Emanuel off the ballot. In the surreal world of Chicago politics, however, Chico would probably have become the frontrunner were Emanuel to remain off the ballot. But Emanuel is back on the ballot, as of this morning, because the Illinois Supreme Court accepted his appeal and ordered a stay of the Appellate Court's decision. Yesterday afternoon the court announced that it was taking the case on the briefs submitted to the Appellate Court and would not hear argument. The Court's action yesterday signals that a decision is probably imminent, possibly as early as today. Also, to me at least, the Court's action means that whatever the Supreme Court intends to do, there is a clear majority supporting it. Further, it means that the court does not see this as a particularly close case (whichever way it goes) because it sees no need for additional briefing or argument. Finally, it probably means that Justice Anne Burke will be able to recuse herself from the court's determination -- something she probably wants to do inasmuch as her husband, Chicago Ald. Ed Burke, has endorsed Chico. There are some powerful people who've been fighting to keep Emanuel off the ballot. Burt Odelson, who is leading the legal team against Emanuel, is a well-respected and very successful lawyer in the very narrow (and, in Cook County, critically important) specialty of election law. After he lost at the Board of Elections and in the Circuit Court, some media outlets here were portraying him as a buffoon. He is not. Nor is Emanuel's success a foregone conclusion. Put it this way: If Curmudgeon, Esq. had been summoned to President Obama's side, not as Chief of Staff of course, but as (for example) deputy assistant to the deputy assistant White House counsel (something junior enough to match my station in the food chain) and were I to return, after having rented out my house, with ambitions to run for Mayor, I would have been rebuffed by the hearing officer. The full Board of Elections would never have gone my way, and neither would the learned Circuit Court judge who ruled in Mr. Emanuel's favor. Ballot access is as jealously guarded in Chicago as nowhere, perhaps, but in the old Soviet bloc. A right to run is never presumed. Thus, attacking Mr. Emanuel's candidacy was never a foolish quest, however it turns out. But I can't help but think of an old adage as we watch this Emanuel ballot drama come to a conclusion: He who would strike the king must aim to kill. Emanuel was wounded -- don't doubt it -- by this week's court action, but if the Supreme Court reinstates him he will be anything but dead. In fact, polls show he might win the election in February, without the need for a runoff. We live in interesting times in Chicago. The State of the Union address is tonight and President Obama will talk about all the things that he thinks the country needs. The Republicans will counter that we can't afford whatever he proposes. He may talk about the need to raise the ceiling on the national debt. The Republicans will say that the debt is reaching ruinous proportions. The Red Meat Republicans and the True Blue Democrats will shout at each other across the cultural divide, each hearing only the plaudits of their own partisans. But both sides have a point. Government services cost money and vital government services must be provided whether or not sufficient money for these services comes from taxes. On the other hand, deficit spending can't go on forever. So maybe taxes need to go up. But nobody wants to waste money. Until you have a handle on the budget, though, how can anyone be sure that we're not wasting money? How do we get a handle on the budget without immediately falling into partisan rancor? If it were up to me, I'd suggest getting a camera. I'd take a picture of the Dirksen Building in downtown Chicago. I would explain that I know pretty much what goes on in here -- the Seventh Circuit and the District Court for the Northern District both sit here. The Kluczynski Building is in the background here. The Dirksen Building is visible at left. I would put this slide up and ask: Who works at the Kluczynski building? What do they do? The next slide would be of the Metcalfe Building at 77 W. Jackson. Same question: What goes on in here? Also, in addition to offices in malls and shopping districts near you, the Social Security Administration has its own giant office building in Chicago, the Harold Washington Social Security Administration Building at 600 W. Madison. 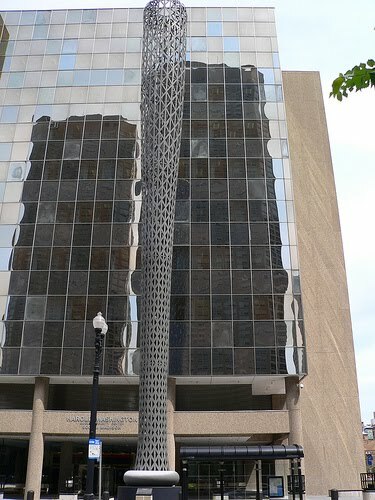 That's where you'll find the famous "Batcolumn" sculpture. This would be my next slide. When talking about the federal budget, everyone goes right to Social Security and Medicare -- and these are two big line items, surely. But who's in all these other buildings? What are they doing? Is everything that all these people are doing really necessary? You want to raise my taxes? I'm willing to listen. I think a lot of people would be willing to listen. But the proponent of tax increases will have to start by telling us what everyone in these buildings does and why each program is equally vital. Then we'll go to the federal office buildings in all the other cities. When we're done sorting out which programs we really need and which we don't, then we can start looking at the cost of administering the programs that we do need. I admit that the danger of partisan bickering exists every time we examine whether there really is a need for a particular program. But at least if we're focusing on the alleged need for continued subsidies for buggy whip manufacturers and a bureaucracy to administer same, we're not talking about cuts in Social Security and Medicare and starving our parents or grandparents. Figure out the cost of what remains and then tell me whether my taxes need to go up. Think anyone in Washington is interested in addressing this? Note: This morning's post was suggested by this post yesterday on Rather Than Working. Yale Law Professor Amy Chua has been much in the news lately, ever since her January 8 article for the Wall Street Journal, "Why Chinese Mothers Are Superior." If a Chinese child gets a B—which would never happen — there would first be a screaming, hair-tearing explosion. The devastated Chinese mother would then get dozens, maybe hundreds of practice tests and work through them with her child for as long as it takes to get the grade up to an A. [A]s a parent, one of the worst things you can do for your child's self-esteem is to let them give up. On the flip side, there's nothing better for building confidence than learning you can do something you thought you couldn't. Those two sentences should be graven on the hearts of parents and teachers everywhere. Parenting is a constant struggle, and, as parents we often fluctuate between extremes (keeping with the Oriental theme here) from the yin of being a 'hardass' to the yang of being a pushover. As parents, we are always guessing how best to respond in any situation: Should we be tough guys when the kid wants to stay out later on Saturday night, or should we acquiesce? Should we blow a fuse when we get a disappointing report card, or should we be sympathetic and understanding? It's a guessing game. And we really can never know if we got it right. We can't even tell by how our kids turn out -- for at least three reasons. First, kids are works in progress. They change over time. The kid who seems like a lost cause at 18 may get it together by 30. Or 40. (In my case, I'm hoping to get it together by 55.) Second, parents are not the only influences in their kids' lives. Professor Chua banned TV in her home, but in the modern age programs on MTV, FOX and the CW are available on so many other platforms -- just waiting to undermine all the good lessons we've tried to teach. And even if a kid is never contaminated by toxic TV, the peers with whom our kids interact each day likely have been. Our kids' friends and acquaintances shape our kids, too. And, finally, we can't know how our kids might have turned out differently if we weren't there. There are no identical kids running in a separate control group against whom we may compare. So all we can do is do our best and hope it's enough. Which brings us to Youngest Son. Like everyone else at our house, Youngest Son has been sick off and on since before Christmas. The latest bug started over two weeks ago. He had fever intermittently for a week. The fever was sufficiently serious that we had to hold him out of school for a couple of days; thankfully, part of this time coincided with a weekend. After the fever subsided, the congestion began. He began to have an ugly, wet-sounding cough. We had the vaporizers going and Long Suffering Spouse was after him to take Mucinex or cough syrup. She was after him to eat more good food and fewer cookies. Sometimes he would grudgingly comply. Through it all, though, he had to maintain his school work and his baseball training regimen. Tryouts are in another month and, this year, the varsity is going on a spring training trip to California. Youngest Son figures to make the varsity again, but he wants to contribute. So he's working on his arm strength -- lifting weights and running. And there was still one more complication: Youngest Son was asked to be a student leader at a four day retreat this week. All the seniors at his Catholic high school are encouraged to go on a Kairos retreat; a few are selected from each group to help out with the next. It is an honor. As with most honors, there is a cost: He had to write a lengthy paper to present on the retreat and subject it to review by his fellow leaders and the faculty advisers -- and, of course, he had to review the others' efforts as well. He'll have to make up the school work he misses for the retreat, too. Thus there was very little time for rest and recuperation from this latest bout of creeping crud. Last week he'd try and leave the house before 6:00 to get his running in. He would join others on the baseball team for weight lifting (or sometimes more running) after school. And there were Kairos meetings, too. He'd come home, fall asleep on the couch for a couple of hours, then get up and do homework into the wee small hours. His condition deteriorated through the week. But, despite our increasing insistence, he wouldn't agree to see a doctor. "A doctor will tell me not to go to practice," he said, "and I have to go to practice." And you'll remember that wet cough I mentioned a few paragraphs above? By this weekend Youngest Son's mother and I could hear a rattle in his lungs. Youngest Son admitted he could hear it too. Not that it stopped him from running a couple of miles in the morning Saturday, you understand, although he admitted he had a coughing fit afterward. Thus, finally, Saturday morning, Youngest Son agreed to let us take him to the doctor. I took him to the local immediate care center. He's not quite 18, so I had to go in with him. His blood pressure was 112 over 54. "That's disgusting," I said. "I can do twice as much as that." "No you can't!" said the nurse. "Oh, yes he can," said Youngest Son. He's seen me when the mortgage company calls. I'd explained to Youngest Son that talking to a doctor is different than talking to a trainer on the sidelines at the football game. You're not trying to get back on the field for the next series, I explained to him, you're trying to get the doctor to realize that you genuinely need the medicine that only he or she can prescribe. So Youngest Son was pretty thorough in describing the course of his illness. Still, I felt a need to supplement his account. "Is there any other medical problem you have?" the nurse asked, concluding the history before the doctor came in. "Well, there are his sideburns," I interjected, "but I suppose, strictly speaking, that's not a medical problem." "Does he always give you a hard time?" the nurse asked. "Oh, yes," agreed Youngest Son. The doctor sent the boy off for an x-ray. She saw something on the lower left lobe of his lungs that she takes for pneumonia. A radiologist will confirm the diagnosis and call the house today. "You ran this morning?" she asked Youngest Son. He nodded. "Well, no running for a week," she said. "You need to rest and get better." She wrote out a couple of prescriptions. "What did I tell you?" snarled Youngest Son when we got back in the car. "Good thing you're going on Kairos this week, isn't it?" I said. It will be anything but a week off: He hardly slept when he went as a participant in November. And leaders have to set up for and clean up after the participants. But I think he'll get more rest on the retreat than he would have gotten had he stayed home. I don't know where this rates on the "tiger mother" scale. On the one hand, I've let him set the agenda with the doctor -- which perhaps makes me a pushover -- but I understood his reasoning. On the other hand, we are letting him test his limits -- and always continuing to insist that he keep up his studies, too. Older Daughter tells people she was our "experimental child" -- that we tried out everything on her and then applied the hard-won fruits of our experience to the raising of her four siblings. But they're all experimental children. And so are we. I published a list of Curmudgeon's Laws at the end of December and offered to expand on these from time to time. It costs more to be poor in America than it does to be rich. I concede that this is counter-intuitive -- on the surface -- but poorer people are the ones who can't pay off their charge card bills each month and so incur high interest rates on their balances. A shirt at a department store may cost a rich man $25. The same shirt costs the poor man $25 plus interest. Miss a payment -- or be late with a payment -- and the already high interest rate goes up, up, up. Meanwhile, not only do wealthier people not incur interest charges, at least one credit card (the American Express Plum Card) offers customers the opportunity for a 1.5% discount if the card balance is paid each month when due. I suspect that things work similarly in other developed nations -- but I'm almost positive that this rule would not apply in hunter-gather societies. Are there any anthropologists out there who think differently? Expenses do not fall easily when income drops. This is more a corollary of Parkinson's Second Law. "Parkinson" refers to British scholar C. Northcote Parkinson, whose first law, "Work expands to fill the time allotted for its completion," is probably familiar to you even if the author is not. Parkinson's second law is "expenses rise to meet income," that is, the more you make, the more you (or your spouse) will spend. That house that was perfectly adequate before your last promotion seems tiny and cramped following same. That car that was so reliable and comfortable before, now seems old and worn out. So you buy a new house and a new car. Your expenses go up. Here is where my law comes into play: If you are laid off, or if -- for example -- you are self-employed and your customers slow down or even stop paying your bills because of the lousy economy, your income will fall but the new house is still there -- with the new car in the driveway. The expenses don't fall -- not easily. They will only eventually fall -- after the foreclosure, perhaps, and after the repo man has come to call. Looking up Parkinson's Laws this morning (lawyers can't help but research nearly everything -- except consumer purchases, but that's another story) I came across this trove of collected wisdom. At times of high scientific controversy, the consensus is always wrong. A level set as a target maximum becomes the de facto minimum, and vice versa. Lawyers will recognize this last one as a fundamental principle of settlement negotiations. One never tells the other side that the client will settle for somewhere between $40,000 and $60,000. Even if the conversation is reported verbatim, the client on the other side will hear only $40,000 (if he is the one who is supposed to pay) or $60,000 (if she is the one expecting to receive money in the deal). No matter how bad you think things are, they’re worse. With the Bears playing the Packers Sunday for the NFC Championship, it's hard to find anything in the Chicago newspapers or on TV or radio except breathless pre-game coverage. Every saloon in Green Bay is being visited by accredited Chicago media; every one of these joints is pronounced "historic." World War III probably couldn't crowd the Bears game off the front page here -- unless, perhaps, Dallas was vaporized in the initial nuclear exchange. Then, however, the headline would most likely read, "Super Bowl must be relocated; NFL asked to consider Soldier Field as new venue." But I was able to find reference today to Chicago earning a no. 1 ranking in something other than pro football hype and, unfortunately, it's a dubious distinction: Chicago ranks worst in the nation in traffic congestion. What it comes down to is this: Chicagoans who drive to work waste more time behind the wheel going to and from work than just about anyone anywhere. And then we pay a king's ransom for parking. I'm actually surprised that Chicago fares so poorly in these rankings. Washington D.C. I could understand: Gridlock is the state of nature there, isn't it? I have never actually been in Washington D.C. -- but I was on the Beltway one time, at 3:00am, and traffic was at a standstill. In Chicago, we can get around pretty quickly on the expressways at 3:00am. If only at 3:00am. And we were recently no. 1 in gasoline prices, too. Whether we still are or not, I don't know. AAA says the current national average price for regular unleaded is $3.115. I paid $3.359 to fill up the family van yesterday (I had court in the suburbs). Most gas stations around my house are selling regular for $3.399; one of the stations right off the Kennedy at Harlem posted a price for regular of $3.459 this morning. Thank goodness we have the Bears and a mayoral election to keep our minds off of real problems. Steve Jobs is as closely identified with Apple as Bill Gates ever was with Microsoft. Whether it was truly the cause or merely coincidental, Jobs' return to Apple and Apple's return to prominence are inextricably linked in the public mind. 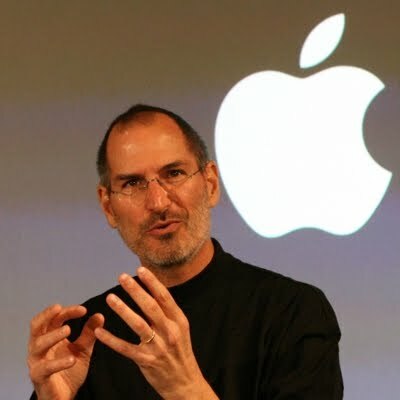 Now Mr. Jobs advises he must stand down from Apple for a time for reasons of health. His prior serious health problems give investors reason to fear that he may be unable to return to Apple soon -- or ever. It is therefore no surprise that Apple stock took a substantial hit in pre-market trading this morning. But, says CNN this morning, "Nasdaq-100 (COMP) futures, a proxy for the tech sector, slumped ahead of the opening bell" today because of speculation over Mr. Jobs' health. The entire tech sector falters because the individual most closely associated with a leading company in that sector has health issues? Now, anyone who takes investment advice from me must be an idiot. I've often claimed that my level of financial sophistication is such that I can't decide between a Christmas Club and passbook savings account as an investment vehicle. But even I can see that, if the alpha wolf is injured, an opportunity is created for the other wolves in the pack to improve their status. Here is the chance for a technology company heretofore languishing in the shadow of Apple to emerge as the new and innovative leader. Intelligent observers, like naturalists following a pack of wolves, should have already identified the likely competitors for the post of alpha male and should be putting money from Apple on one or more of its competitors. Logically, the sector should not shrink on news of Mr. Jobs' misfortune; if anything, the sector should stay constant or even move up somewhat as smart investors put their money behind the most likely candidates to take advantage of any missteps by Apple during Mr. Jobs' enforced absence. And maybe some of this is going on quietly and behind the scenes. But that's not what's being reported. And, if the entire sector really falls today, we have further proof, if proof were truly needed, that the stock market, as it currently operates, is not an engine of prosperity, but a casino for idiots. The stock value of a Company A goes up before the company makes any money; the stock value of Company B goes down because Company B failed to make as much money as people outside the company guessed they might make. And we bailed these people out, ladies and gentlemen, the Wall Street titans and the banks that conspire to lose money with them. I have charge cards issued by banks that are charging 24% or 27% on charge card balances. These same banks are paying one-half of one percent or less on CD's. Isn't that enough of a profit margin? 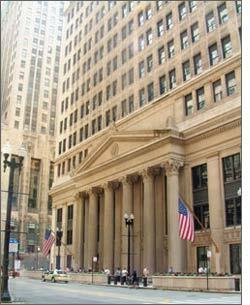 Why are banks also allowed to play in the stock market? And the supposedly anti-business Obama administration deems all of these enterprises all "too big to fail." But the rest of us aren't too big at all. It's not a book contract; it's not even a paying gig. However, from time to time, Jay Harrison, the proprietor of BoomSpeak sees fit to reprint one of my posts (edited by Mr. Harrison to suit his needs). In the current edition of his Internet magazine, Mr. Harrison reworks my December 20 piece, "I spent much of last week looking for the electric bill" and distills it down to "Electic Boogaloo." I'm grateful for the plug and the link. And who knows? Maybe one of these days we can drive serious traffic to each other's sites. Also in the current edition, BoomSpeak features an article by Terry Hamburg, "Inside Gilligan's Island." Hamburg, whose regular blog is boomer to you, reveals who almost got marooned on the island. I won't steal her thunder by revealing the identities of those who were considered for, but did not get, parts in the show. However, Hamburg also reveals that Gilligan's tiny ship was named for a famous Chicagoan. In this morning's Chicago Sun-Times, Michael Sneed writes that Newton Minow will receive an honorary degree from John Marshall Law School at that school's commencement ceremonies Sunday at the Sheraton Chicago Hotel & Towers. Minow is of counsel to Sidley & Austin -- and his daughter Martha is the Dean of Harvard Law School -- but you will probably remember Mr. Minow best for a 1961 speech, soon after his appointment as Chairman of the FCC, in which he called television a "vast wasteland." 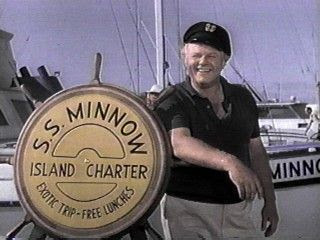 According to Hamburg's blog post (originally posted here), Sherwood Schwartz, the creator of Gilligan's Island, named the S.S. Minnow in ironic tribute to Newton Minow. "Sherwood Schwartz," Hamburg writes, "didn’t hold Mr. Minow in high regard." Update: An anonymous commenter writes that the name of the boat on which Gilligan et al. set sail for their ill-fated three hour cruise was actually spelled M-i-n-o-w, not M-i-n-n-o-w as I'd written this morning. It makes an interesting story either way. In the closing hours of its lame duck session this week, the Illinois General Assembly passed a bill ending the death penalty here. Governor Patrick Quinn has not said whether he will sign it. Liberals are rejoicing; prosecutors are outraged. I'm torn. There are cases where the crimes are so horrible, so heinous, and where the accused's guilt is so clear, so certain (sometimes to the point where the criminal doesn't merely confess, he brags of his crime) that the death penalty seems entirely too lenient. On the other hand, over drinks in a bar one day, a fellow lawyer made what I think is a tremendous argument against the death penalty. "Have you ever won a case you thought you thought you should have lost?" he asked. "Have you ever lost a case when you should have won?" Well, sure, I said. Who hasn't? Juries do strange things. Courts make odd rulings. You stand up to speak -- and trip all over your tongue. "Well, what makes you think that can't happen in a death penalty case?" The problem with abolishing the death penalty is finding a suitable alternative. Let me illustrate by referring to the infamous case of Richard Speck. Speck systematically raped and murdered eight student nurses on Chicago's southeast side on July 13, 1966. He was identified by the one young woman he missed, Cora (Corazon) Amurao, who hid under a bed during the carnage. On June 28, 1971, the U.S. Supreme Court (citing their June 3, 1968 decision in Witherspoon v. Illinois) upheld Speck's conviction but reversed his death sentence, because more than 250 potential jurors were unconstitutionally excluded from his jury because of their conscientious or religious scruples against capital punishment. The case was remanded back to the Illinois Supreme Court for re-sentencing. On June 29, 1972, in Furman v. Georgia, the U.S. Supreme Court declared the death penalty unconstitutional, so the Illinois Supreme Court's only option was to order Speck re-sentenced to prison by the original Cook County court. On November 21, 1972, in Peoria, Judge Richard Fitzgerald re-sentenced Speck to 400 to 1,200 years in prison (8 consecutive sentences of 50 to 150 years). He was denied parole in seven minutes at his first parole hearing on September 15, 1976, and at six subsequent hearings in 1977, 1978, 1981, 1984, 1987, and 1990. It's that last sentence on which I'd like to focus your attention. Each parole hearing was, of course, covered extensively on the Chicago TV news. The images of the increasingly feeble parents of Speck's victims at each successive hearing, forced to relive the horror of their children's deaths, time after time after time, made a powerful impression on me. They'd been punished more severely, I thought, than Speck. And Speck never had a chance for parole, you may say, and you may be right. His crimes were so outrageous and so highly publicized that no one in authority would risk the public backlash that would follow were he let go. But what of all the victims' relatives in all the less highly publicized cases? Could they risk boycotting parole hearings, trying to spare themselves the pain of reliving their loved one's death? If you told me -- if you promised me -- that, for the most horrifying offenses, the offenders would be locked up and never given the opportunity for parole, I could accept that as an alternative to the death penalty. The State might even save money, for a time, by not having to litigate the interminable appeals of Death Row inmates. But -- I'm afraid -- a new generation of reformers would eventually spring up, crying that life without parole is too harsh a sentence. And the interminable appeals would start up all over again. Without a hint of irony, the January 10 Chicago Daily Law Bulletin reported on a salary survey (subscription required) of partners nationwide that concluded that the average law partner compensation in the City of Chicago was $524,000. This staggering figure was only the ninth highest nationwide. New York, of course, topped the list with partners claiming average compensation of $938,000. Yet, speaking of New York, on January 10 Yahoo! Finance posted a story from the New York Times (genuflection optional) by David Segal entitled "Is Law School a Losing Game?" The Times article chronicles the travails of Michael Wallerstein, 27, a recent graduate of the Thomas Jefferson School of Law in San Diego, who brought his degree and a quarter-million dollars of student loan debt back to his native New York after graduation. [Wallerstein] worked for a manager who seemed to have walked straight out of a Dickens novel. Over a firm-wide lunch, as Labor Day approached, she asked employees to thank her, one at a time, for giving them the holiday off. "When it was my turn, I said, 'Labor Day is about celebrating the 40-hour workweek, weekends, that sort of thing,'" Mr. Wallerstein recalls. "She said, 'Well, workers have that now so you don't need a day off to celebrate it.'" Currently Wallerstein works for a temp service "in office space rented on the 11th floor of the Viacom building in Times Square. He sits in a small, windowless room with five other lawyers, all clicking through page after page of documents on computers under fluorescent lights. The walls are bare except for the name of each lawyer, tacked overhead." If you read the Times article you'll see that Wallerstein is the author of at least some of his own misfortune: He could have attended a school closer to home and possibly forged connections that might have led to more meaningful employment. He certainly seems to have incurred far more debt than he had to, even studying abroad for a time. Moreover, though Top-Law-Schools.com says that Thomas Jefferson Law School is an institution "on the rise," it remains in the bottom quarter of all law schools as ranked by U.S. News and World Report. Jason Bohn is earning $33 an hour as a legal temp while strapped to more than $200,000 in loans, a sizable chunk of which he accumulated during his time at Columbia University, where he finished both a J.D. and a master's degree. "I grew up a ward of the state of New York, so I don't have any parents to call for help," Mr. Bohn says. "For my sanity, I have to think there is an end in sight." The Times article notes that many law schools, including many not in anyone's Top 40, claim a median starting salary for graduates of $160,000 -- the same claim made by Harvard and Yale. And therein lies the link to the Law Bulletin salary article: These extraordinary income claims, both for new graduates and partners, depend on self-reporting. You can access the entire Major, Lindsey & Africa 2010 Partner Compensation Survey by following the link in this sentence. The report depends on attorneys responding. If you check out the Methodology Appendix, you'll read that 33,063 partners from around the country were solicited by email. Some 2,959 emails were returned as undeliverable. Only 1,873 responses were received. Who do you think responded? The ones who were doing great? Or the ones engaged in a grim struggle for survival in an increasingly competitive environment? In case the answers are not immediately obvious, let me ask this a different way: Are you more likely to go to your high school reunion when things are going great -- or when you're unemployed or chronically ill or staggering under crushing debts? [The U.S. News rankings] are based entirely on unaudited surveys conducted by each law school, using questions devised by the American Bar Association and the National Association for Law Placement. Given the stakes and given that the figures are not double-checked by an impartial body, each school faces exactly the sort of potential conflict of interest lawyers are trained to howl about. William Henderson, an Indiana University law professor quoted in the Times story says, "Enron-type accounting standards have become the norm.... Every time I look at this data, I feel dirty." I don't feel dirty. I feel angry. ... And maybe a little jealous, too. Who the heck is really earning a half million bucks out there? And why can't I? Just two hours of watching TV or other "screen time" a day can result in an increased likelihood of heart disease and early death, according to a new study reported in the Journal of the American College of Cardiology. Yahoo! News carries the AFP's January 10 article on the study, which was compiled from "data from 4,512 adults who took part in the Scottish Health Survey of households." "Screen time" here means not just TV watching, but time spent playing video games, surfing the Internet, or watching DVDs. I'm not sure exactly how many years are lost per hour of screen time, but given my habits, considering I'm frequently watching two screens (a computer and a TV), by my rough calculations, I must have died about a decade ago. If you're here looking for additional speculation about whether Sarah Palin or Karl Marx 'inspired' Jared Loughner, look elsewhere. I want to tell you this morning about a forest preserve near my house in Chicago -- and, yes, I will wind up talking about the shooting of Rep. Gabrielle Giffords, so bear with me. The City has a recycling drop-off center in the parking lot of this forest preserve. There used to be a big toboggan slide there, too, though that's since closed. I believe there's a pool in the summer. There's a bus turnaround intruding on the forest preserve on the Milwaukee Avenue side of the forest preserve. It's near here that you may catch a glimpse of what looks to be a lean-to, constructed of trash and branches. The woman who lives there is short, understandably skinny, dresses in smelly rags and a stocking cap and usually is seen pushing a shopping cart. I don't know who's living in the lean-to I spotted recently in a patch of green by the entrance to the westbound Kennedy Expressway at Cumberland, a couple of miles away from the forest preserve. I will bet you any sum you care to wager that this is no "fort" built by local kids. It's a cliche that the three most important words in real estate are location, location and location. This little patch of green has it all: The scraggly bushes in which the lean-to may be seen are well removed from the street but nearby is a large grocery store and several hotels and restaurants. There's prime dumpster-diving to be found at these locations. You don't have to be downtown or in some poor, heavily urbanized area to see homeless people. They are all around us. We have to step around them sometimes to get from Point A to Point B. But these folks are not the hobos or tramps that wave happily from a passing freight train in Frank Capra's It Happened One Night or the "forgotten men" of the Depression-era fantasy My Man Godfrey. Far too many of the street people we see today are suffering from serious mental illness. In another generation, these folks would have been institutionalized. The mental institutions that existed in my youth are almost all gone now. People who would have been cared for in these places are in prison now, or living under viaducts, or squatting in forest preserves or expressway entrances. Some wind up in nursing homes, too often preying on their elderly fellow fellow residents. I realize that mental institutions fell into disfavor because the living conditions were so terrible. Compared to living in the bushes and trees? 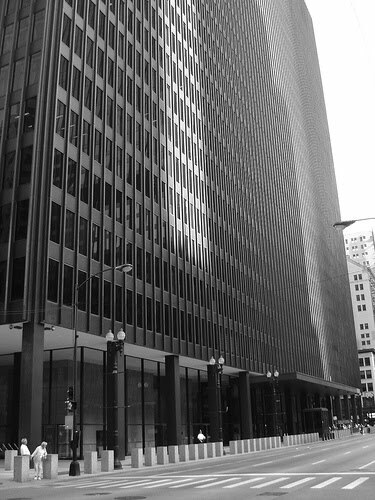 In the 1980s and 1990s I had a law office in Chicago's River North neighborhood. The CTA Red Line subway (the Howard line in those days) has a stop at Chicago and State. If you go east from the subway station you'll wind up at Northwestern Hospital. This was where a lot of mentally ill people were supposed to go to get their medication. This was the alternative, you see, to institutionalization. My wife has to get on my case every morning to take a vitamin. Sometimes I'm not compliant. If I can't get to the doctor on my own, my wife will take me. I have a support system. I have a family. What about people who don't have these advantages? My observation was that more than a few of them got off at Chicago and State and wandered north or south or west -- anywhere but where they were supposed to go. Imagine: mentally ill people weren't always compliant and punctual and reliable. Which brings us back to Jared Loughner. Pima County, Arizona Sheriff Clarence Dupnik is quoted by the AP this morning as saying that Loughner was "a typical troubled individual who's a loner." He almost certainly acted alone, authorities believe. Between February and September, Loughner "had five contacts with PCC police for classroom and library disruptions," the statement said. He was suspended in September after college police discovered a YouTube video in which Loughner claimed the college was illegal according to the U.S. Constitution. He withdrew voluntarily the following month, and was told he could return only if, among other things, a mental health professional agreed he did not present a danger, the school said. I see commercials on TV almost every night for medicines to help people cope with depression. In our unhappy world, it's alright for people to seek treatment on their own for their mental woes -- but no one will do more than 'recommend counseling' for someone else. Better to expel the kid, or fire the disgruntled employee. Let someone else worry about what to do with the problem. Let the poor unfortunates take care of themselves. If they make the right turn coming out of the subway, they'll get their medicine. If not... well.... Does anyone get committed involuntarily anywhere anymore? And, if someone should be committed, is there any place to put him or her? Some mentally ill people go live in the forest preserve; others commit crimes -- sometimes, apparently, quite spectacular, heinous crimes. But we can congratulate ourselves on emptying the mental hospitals because they weren't nice places. And wonder why our prison population is so extraordinarily high. The courtroom was crowded. Every available seat, including those in the jury box, were filled by lawyers with business on this morning's 9:00am call. Other lawyers were standing, unable to find a seat, and the courtroom deputy sheriff (in Cook County we never say 'bailiff' for some reason) was busy shooing standees to positions as close to the walls as possible. The judge came out right at 9:00, happy, carefree, overflowing with the milk of human kindness. He took one look at the mass of humanity in the courtroom and the milk curdled. He knew there were a lot of status hearings scheduled; he'd added more cases than usual to the day's call every day this week because he was catching up after a recent family vacation. But, for some reason, the courtroom was especially packed today. He didn't know why. He did know he was about to find out. Different judges have different ways of handling crowded rooms. Some will go through the cases in the order scheduled no matter what, but others will ask for agreed orders to step up first. Our fictitious courtroom is imagined to be a contract calendar room in the Cook County Law Division, but any civil court hearing a variety of matters might have a status call like this one. There are all sorts of reasons why parties might have an agreed order at such a hearing: They may have just settled the case or -- more likely -- discovery is progressing but 30 or 60 more days are needed to get the deposition of one recently ill or out-of-town witness. Maybe the briefing on a motion has been completed and the parties just need a hearing date. As soon as the learned judge asked for agreed orders to step up, a line began to form in front of the bench. One of these jostling into line was Amy Attitude, a bright, but impatient, young lawyer. She hadn't actually seen her opponent in court yet, and she was all too aware that her opponent had noticed up a motion to compel for this morning because Amy had yet to answer the written discovery requests he'd served three months ago. On the other hand, Amy agreed with herself that it would be best if she could get in and out of there quickly, particularly because there was lots of other stuff she hadn't done sitting on the cluttered desk back in her office. Lesson 1: Agreements are between two people or among more than two people. If you are in agreement with only yourself, you do not have an agreed order and shouldn't be in this line. If you aren't in agreement with yourself you may need psychotropic medication. That is a topic beyond the scope of this morning's discussion. Amy was still fourth or fifth in line when her opponent came into the courtroom and spotted her. "Why are you in this line?" Gary Green hissed, sotto voce so as not to attract the ire of the courtroom deputy. "We have no agreement." "How about 28 days to comply with all written discovery and a compliance date shortly after?" In Cook County, at least, this would be an appropriate response, at least where there's been no prior court-ordered deadline that has already slipped by. If he had more experience, Gary would have known that this would be the likely outcome of his motion no matter how ardently he argued the injustice of it all before the learned trial judge. But Gary was very green. "No way. Seven days or we wait for the judge." "Seven days? How about 14?" Amy hadn't actually looked at this discovery, despite the length of time since it had been served, and she didn't know whether it was possible to get responses thrown together in 14 days, but even with all the people in line in front of the bench, the crowds on the sides and back of the room did not seem to have thinned appreciably. "If we wait for the judge," pleaded Amy, "we might be here for seven days." Amy was going to try and protest again, but the deputy sheriff was swooping in. Reluctantly, she got out of line. She tried to find standing room on one side of the room; Mr. Green withdrew to the other side. The agreed orders concluded, the court started running through the regular order. Amy's case was the sixth case called. The courtroom was still packed as Amy stepped up. Mr. Green reached the bench first and made a show of pulling out a legal pad chock full of impassioned arguments and pertinent citations as to why sanctions should be entered against Amy and her client on account of Amy's failure to answer discovery. Amy tried the preemptive strike: "Judge, we're here for status on discovery. I still owe written discovery to Mr. Green here --"
"Counsel!" interjected Mr. Green. "I have a motion --"
"Mr. Green! Please do not interrupt me --"
"Interrupt? Interrupt?" sputtered Mr. Green. "I noticed my motion up two weeks ago --"
"All I'm trying to do is --"
"You're trying to prevent me from getting the sanctions against you that you so richly deserve!" Did you ever notice that judges in Cook County don't have gavels? This may be an unfair question, particularly if you've never been to Cook County, but it is a fact that judges here don't typically have gavels in the courtroom. Our learned trial judge now lamented this fact. If he had a gavel with him, he could have clobbered both Mr. Green and Ms. Attitude with same. He tried raising his voice instead. "Counsels!" he shouted. Lesson 2: Address all remarks in front of the bench to the bench. Judges just hate to be ignored. Therefore, instead of saying 'You are a big, fat doodyhead' to opposing counsel, say 'Your Honor, my opponent is a big, fat doodyhead.' It will get you in less trouble. At least slightly less. Mr. Green and Ms. Attitude looked up at the judge, surprised, perhaps, to remember he was there. "I think I have the picture," the judge began. He said this only because he did have the picture. This was a situation he encountered every day, often several times an hour. His eyebrows shot up, therefore, when Mr. Green interrupted. Lesson 3: Do not interrupt the learned trial judge. Ever. It's his or her courtroom -- and you're just practicing there. I might also submit a Lesson 3A: If you must interrupt the judge, or if you accidentally do so in a moment of unrestrained exuberance, don't disagree with the judge on top of everything else. Mr. Green, naturally, can not be expected to follow this sage advice. "No, Your Honor, I don't think you do have the picture here. Counsel is not just late in responding. She's very late. And she hasn't responded at all. As the Illinois Supreme Court has said on many occasions, Judge, its rules are not aspirational. They are not suggestions. They have the force of law. Bright v. Dicke," -- Green spelled out 'Dicke,' something that might have been helpful for the court reporter -- if there had been one -- "that's 166 Illinois Second 204 at page" -- he looked down at his notes -- "210. Yes, page 210. And Supreme Court Rule 213(d) says answers must be served in 28 days. That has the force of law, Your Honor. But we have had no answers in three months." It occurred to Mr. Green that he should have brought a handkerchief. This would have been a dramatic moment to wipe the sweat from his brow. The learned trial judge had watched this performance with mouth agape. "Are you quite finished?" he asked, red-faced and struggling for control. There is only one sane answer to such a question. But this is an essay about how not to behave in court. Naturally, therefore, Mr. Green answered, "No, Judge. There's the issue of sanctions." "Judge, there's been no compliance with Rule 201(k)." Oh, for crying out loud. Now she's interrupting me! The response would have been a good one: Rule 201(k) requires that parties consult on discovery disputes before bringing their disagreements to court. However, the timing of the response could not have been worse. The learned trial judge, when he'd gotten back to Ms. Attitude and asked for a response, would have been pleased to seize on this point. But just at this moment a number flashed in the judge's brain. That number was neither 201 nor 213; it was, rather, the number of years until his pension was fully vested. And from his vantage point, he could see the exasperated faces of all the attorneys waiting for their cases to be called. "I tell you what we're going to do. You two need to consult as required by the rules. I need to take care of this courtroom full of lawyers. We will pass your case until the end of the call. I have a bar meeting at lunchtime, but I can miss that. I will let you talk as long as you want then. But, for now, step out in the hall and confer. Miss Clerk, call the next case." This actually happened to me once, probably 25 years ago or so. Opposing counsel and I were not nearly as bad as Ms. Attitude and Mr. Green in today's little drama, but we did talk over each other and failed to address the court. The judge told us to go sit in the jury box until the end of the call and then he'd let us go on for as long as we wanted to. I don't remember who leaned over first -- I'd like to think I leaned over toward my opponent -- but, eventually, after we'd sat there awhile, smoldering, one of us leaned over to the other and said, "I guess we've been held after school, eh?" Whoever said it, the ice was broken and we quickly and quietly worked out our differences. We still had a while to wait for the end of the call -- and we were smart enough to know we'd darn well better. When the case was recalled, we both stepped up and announced that we'd reached an accord. "I thought you might," said the learned trial judge. I haven't had a case against that other lawyer since -- there are a lot of lawyers in Cook County -- but I still see him from time to time. We always say hello. Please note: Reading today's essay does NOT qualify for CLE credit in any of the 50 states or Washington D.C.
Scientists are buzzing about a dramatic decline in American bumblebee populations. National Geographic (from which the accompanying image was taken) and AOL both have posted stories this week about a recent study reported in the Proceedings of the National Academy of Sciences which claims that several species of American bumblebee have declined by 90%. A killer fungus is suspected as one possible culprit for the die-off, as is lack of genetic diversity (read: inbreeding). Believe it or not, global warming is not identified as a reason for the decline because some bumblebee species are flourishing even as their cousins are buzzing toward extinction. Humans may still be to blame, however, because the killer fungus is even worse in Europe -- and European bees were imported to California in the early 1990s, right before the population plunge began. Somebody may have brought in some sick bees. When I first heard about the population crash my first thought was that perhaps bumblebees had finally been revealed as imaginary creatures. 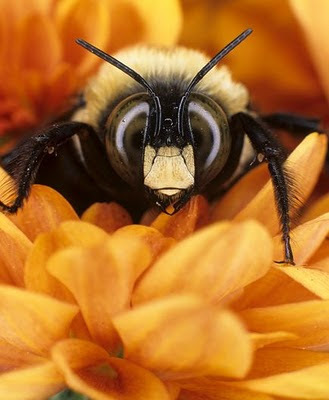 Once we realized that bumblebees don't actually exist, sensible people should no longer see them in their gardens. Why would I think bumblebees to be imaginary? Well, I remembered reading many years ago that science had 'proven' that bumblebees could not fly. Turns out, though, that the story about bumblebees inability to fly was just another example of faulty science reporting. Like you, I didn't win the $355 million Mega Millions drawing last night. But I did have $5 in the pot. Anyway, Middle Son said he was reluctant to waste the dollar, but he was shamed into it. The lawyer on the other side of this case I had a few years back was a nice enough fellow and we chatted before or after court appearances. Turned out, he represented a suburb out near Boondockia, the distant Chicago suburb where I spent my awkward adolescence. Representing a small suburb in the Chicago area means prosecuting traffic tickets, mostly, and, in the course of handling this business, this lawyer had developed a good working relationship with most of the police officers in the town. Thus it happened when the state lottery jackpot got rather large (not $355 million-large -- this was well before the current days of Super Mega Ultra Power Multistate lotteries -- but large enough that the several times rolled-over jackpot was in the news) this lawyer was asked, by his policemen friends in that small town, to throw in a couple of bucks for a pool of tickets. All the cops had done so; even the dispatcher had kicked in. But the lawyer was made of sterner, more practical stuff. He may not have known the odds I heard quoted this week in connection with the Mega Millions drawing (chances of winning are 1 in 176,000,000) but he knew the odds were steep. He turned them down. The phone call came in late at night, well after the lawyer and his wife had retired for the evening. The lawyer was still crying about it months later: The call from his very excited (and probably intoxicated) police friends wasn't made to rub it in; actually, the cops wanted him to handle the legal work of setting up a partnership to handle the lottery proceeds. Yes, one of those pool tickets had been the big winner. And the lawyer had chosen not to get in. "At least I got some legal work out it," he told me, shoulders slumped. I've often tried to imagine how he explained that late night phone call to his wife. I didn't have the heart to ask him whether he ever told her that he'd turned down the opportunity to join the cops' pool. Ever since, though, whenever the lottery jackpot gets so large that TV cameras are dispatched to gas stations and liquor stores to get pictures of suckers, er, players waiting in line, I find a couple of bucks somewhere to throw in. Perhaps now you understand why. If you're already asleep and the lights go out, why do you have to reset the circuit breaker? I didn't retire early last night; it was only early in relation to everyone else still at the Curmudgeon home as Christmas break winds down. I had to work in the morning. And I had an 8:00 a.m. dentist's appointment to start off the day. But today is the last day of Long Suffering Spouse's break and she's catching up on grading and lesson planning and all the other things that good teachers do outside the classroom. So she was planning to stay up awhile. Younger Daughter, though still ill with whatever virus has taken up seemingly permanent residence in our house these last couple of weeks, was out. Youngest Son, who starts school again on Thursday, was trying to squeeze in as many hours of his football video game as humanly possible. So I set up the humidifier in our bedroom and was watching the last few minutes of Leno's interview with Ron Howard before heading off to Dreamland. Yes, I sometimes watch Leno. I know this makes me a complete square. I agree that Letterman's a better interviewer but I prefer Leno's monologues. So sue me, OK? Anyway, just as I was reaching that tranquil moment where I could seamlessly turn off the TV and consciousness itself -- the power went out. "Oh, shoot," I might have said, though I probably did not. I bounded out of bed and down the stairs. "What are you doing?" asked Long Suffering Spouse as I passed by the den on my way to the basement. "We blew a fuse," I said. "Where's the flashlight?" I still say fuse. It is a function of age, I suppose, although most of the places I've lived, including my current home, have circuit breaker panels instead of the old screw-in fuses. But I've changed my share of those, too. Anyway, I needed the flashlight to illuminate the circuit breaker panel, obscured as it is from the basement lights by its proximity to a storage locker where we still have stored craft supplies in bulk from those days, now 14 or 15 years ago easy, when my wife ran the Sunday Pre-School. I identified the offending breaker and reset it. I had to walk past Youngest Son coming and going. I did not break his concentration, however, on his game. Up the stairs I went, and back to bed. I wasn't sure why we'd lost power: We weren't running anything exotic. Our Christmas decorations (still up) aren't that elaborate this year. 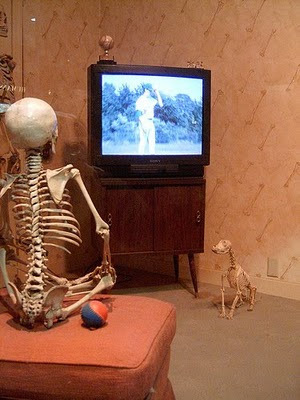 Still, I turned off the TV. I didn't want to stress the power any more than necessary. Besides, Leno's next guest was some plus-sized, binge-drinking Jersey chick named Snooki. Snooki became a 'star' by binge drinking on an MTV 'reality' series. She has parlayed this stardom into a national pistachio commercial. (A product also pitched by Rod Blagojevich.) America: Land of Opportunity. Often for all the wrong people. And for all the wrong reasons. I reset the alarm clock and went back to bed. I sort of woke up when Long Suffering Spouse got into bed. "Turn off the light," she told me. (I'd left the light on the nightstand on.) I complied without ever fully regaining consciousness. Thus, I can not say what interval of time passed before she roused me again. "The lights went out," my wife said. "Well, yes," I replied, dimly recalling that I'd complied with her earlier directive to turn off the nightstand lamp. "The fuse is out," she tried again. "Oh," I said, rolling over. "Never mind," she said, "I'll take care of it." Distant shouts of "is it on?" and closer responses from Younger Daughter (home by this time) of "not yet" woke me up. "Oh, for crying out loud," I might have said, though I almost certainly did not. I sat up slowly and put weight on my feet gradually. I creaked and groaned toward the stairs. I found my wife and the flashlight in the basement. "Here, let me," I said. "That's what you were supposed to say in the first place," said my wife, but she stood aside so I could jiggle the circuit breaker as required. My efforts were immediately rewarded: "It's on," came the distant call of Younger Daughter. "Is something going on?" asked Youngest Son. Must be halftime in his game, I thought. Anyway, back upstairs we went. I reset the alarm clock. Again. I went back to sleep. Some time passed. Then Long Suffering Spouse woke me up -- again. "Power's out. Again," she said. "Good," I said. "Who needs electricity when we're asleep?" But it was no use. My wife pointed out that I would want the alarm clock in the morning. I said Youngest Son could wake us up on his way out to baseball practice. (He uses his cellphone for an alarm clock -- and thus didn't need power on upstairs to wake up this morning.) But my wife was unpersuaded -- and on her way to reset the circuit breaker. I would up resetting it. Again. There is a little wrist action required; it's not just flicking the switch. Long Suffering Spouse just couldn't do it; for some reason, last night, I could. Somewhere along the way, passing him by, I mentioned to Youngest Son that he would have to wake me up in the morning. He may have grunted an acknowledgment. It may have been a reaction to a play in his video game, too. I am not sure how many times we did this in the course of a couple hours. We kept unplugging things each time. I thought, at one point, it might be the humidifier's fault. Maybe, I speculated, it had sprayed out too much, shorting an adjacent powerstrip plug or something. Putting too much baking soda in the humidifier can make it spit like a major league hitter. But the power went out even after the humidifier was unplugged. Finally, I persuaded Long Suffering Spouse that the problem was not that we had too many things plugged in but, rather, that the circuit breaker itself had worn out. It was, in technical terms, busted. I think this diagnosis will be confirmed when the electrician comes later today. Meanwhile, we eventually got to sleep. In the dark. Which one ordinarily does anyway, right? And, oh yes, Youngest Son did wake me this morning as I'd asked. I'm not certain how the request sank in. But I've done it often enough for him. I have never been enamored of the New Year's holiday. When I was young and in my 'nightclubbing days' I resented New Year's revelers as binge drinkers who drove up the prices in my favorite watering holes. Lately, I have trouble staying awake until midnight. My Long Suffering Spouse doesn't want to go out. But she calls her mother at midnight, and she expects her kids to call her. Older Daughter is in Indianapolis; that's on Eastern Standard Time. So she called twice the last couple of years -- midnight there and midnight here. The joke was she'd wake me up both times -- though, this year, I was awake. But I have another objection, too: The rent or mortgage, which (hopefully) was paid for December is now due again. The charge cards that had been paid (if not paid off) are due again, too. As is the gas, electric, phone, cable.... Why should I be happy about that?